You create and market websites and blogs for individuals, businesses and organizations using web design software and set it up for them. You charge clients for your time spent creating their websites, and send your invoice (money request!) at a pre-determined time – before, after or during the project. Time = money. Literally. In this kind of industry, where projects can sometimes be unpredictable, it’s important to make sure both your client and yourself understand how much a web design project is going to cost and how long it will take. I would recommend charging by the hour, over a one-off cost - it covers any unpredictable changes. First off, you’ll need to learn the ins-and-outs of creating websites. Typically, you’ll need to be able to understand and write some basic HTML code (hyper-text markup language; the code behind websites like this one) – the basis of this is pretty simple, although it may take an hour or so to get your head around it. The best place to learn code, including HTML, is w3 schools. They write the rulebook on what makes great code for websites…literally. You should also get into understanding some of the principles of design, and designing websites. Sitepoint is one of the biggest and best websites for website designers where you can learn lots from a community of web design folk. They’ve got forums, blogs, tutorials, books (although you’ll find them cheaper on Amazon) and a huge marketplace for buying and selling web design services. You might also find some of these resources pretty awesome and useful. * The interview I did long ago with Lisa Irby show’s you some of the basics about websites and also directs you to some of her awesome websites (join her forum! I’m ed7up on there). * About.com is a site with different sections on almost anything, and the web design section is just as valuable as the rest of the website. Incidentally, I interviewed Jennifer Kyrnin, the guide for the web design section on About.coom which you might find useful. * For help with actually creating and running your web design business, consult the Webmasters Business Masters Couse. It’s an free awesome 55-page guide that walks you through the secrets of web site marketing, how to design successful websites, how to attract and deal with clients and a bit on the necessary legal stuff. * You might also find my guide on how to find freelance work useful in finding and managing paying clients. I’ve also got a few useful more general freelance resources there. When starting out, participating in contests where you compete with other designers for the prize money is a potentially great way of learning how to create websites that are better than anything else (i.e. competitive) so you gain experience, but also to help build your portfolio. Sites like 99designs allow you to get access to quality contests like these. What Kind of Websites should I sell? One of the difficult things about the web design business is it’s brutally competitive. There’s a big world out there competing for the same work as you; so make the world smaller. Focus on a specific type of website - so here’s 5 ideas. Blogs (or web logs) are a popular form of website where ‘posts’ are ordered by date. It’s made for commentary and keeping up with current affairs which is popular with individuals, some businesses and organizations. Many blogs run on a program called Wordpress which allows you to create ‘themes’ and custom designs quite easily. Wordpress can also, at a stretch, be used to create ‘tradtional’ brochure/content websites too. If you thinking of something like Amazon where people can order stuff online, you’re thinking of an e-Commerce store. The software to actually handle the orders can be literally bought off the shelf, so really you could actually make shops like this and just work on the design. Forums, social networks and other web 2.0-type websites are more and more popular these days. Using services like vBulletin and Ning, you can actually setup a site relatively easily, although the basic designs will leave a lot to be desired. You could also help clients out by advising them on how to build online communities. What does it cost to become a web designer? Although you may have the best free software around, the time it may take to figure out how to use it compared with something more expensive may make it more worthwhile to get simpler, paid-for software and use the time instead to work on clients projects and earn money. The software you use will really make or break your business. Depending on what you’re using, you’ll need something which allows you to do the job quickly and easily, is simply to understand and is affordable. The ‘Creative Suite’ comes in various different versions, CS2 … CS3 … CS4 … CS5 etc. Naturally, the later versions have more functionality and are more expensive. The older versions however may well do you fine; most of the bugs will have been ironed-out and there will be lots of people and advice online with experience with the software. Adobe kindly offer educational discounts, and since you’re still young and in education, the cost of setting up your teenage web design business can be reduced a smidgen thanks to the charity of Adobe. Even so, Adobe products will hit the top end of the expensive scale and may be out of reach for many of you - plus, Adobe software is very complicated. They say it’s a steep learning curve; so be-warned! Cheaper and free alternatives I’ve heard good things about include Coffee Cup and Kompozer - although they’re slightly less popular, they still allow you to create a huge range of websites with ease. The advantage of this is that you can make more websites quicker, and therefore have time for more clients... which means more money. That would still depend on how well you market yourself locally. 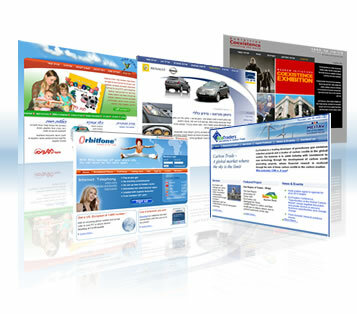 There are often systems which allow people to create their own websites using existing software. Wordpress for example allows you to create a blog. However, these kinds of services are limited in the range of customization to their design (and other features) which opens up a whole host of opportunities for people like you. My best advice is to start with creating your own website, learning how to create a successful website on your own first, then using your proven skills to sell your services to other people. And if they want proof, you can show them your awesome website and then money you’re making with that.